You’ve made the decision to sell your security alarm business. Congratulations! Now, there’s a larger decision looming ahead of you: Choosing a broker. A great alarm company broker can help you every step of the way through the selling process. He or she will work to make the sales process as painless as possible, while also ensuring you get maximum value for your company. 1. How long have you been in the security industry? The best brokers are those that understand the alarm business intimately. Brokers who previously owned their own security companies before entering into sales and acquisitions are smart choices. 2. How long have you been an alarm company broker? It is of utmost importance that you work with someone who has years of experience brokering sales. Firms that have several brokers on staff will likely have one or two that are relative newcomers to the industry. If the candidate is new to the field, ask to speak to the owner and assess their level of experience. If you are comfortable proceeding, ensure the owner will be working side-by-side with your broker during the entire process. Otherwise, it might be a good idea to move on to your next candidate. While everyone has to start somewhere, you don’t want them to start with you! 3. How many businesses have you sold, and how many of those were within the last 12 months? Every deal a broker puts together helps you in the long run. No two deals are ever quite the same; contractual details need to be finessed, unplanned situations arise, miscommunications occur, etc. The more sales and acquisitions a broker has put together, the more he or she is able to expect the unexpected, react without overreacting and get the deal done. 4. Do you work solely with qualified buyers? How do you qualify them? All brokers will tell you they have a database of buyers to whom they can shop your business. They might even tell you that all of the buyers are qualified. But, how did they qualify them? Did they review their financials? Have they sold to them in the past? A broker who has thoroughly vetted the buyers and worked with them successfully on previous sales, is much more likely to put your deal together smoothly and quickly. Remember, neither of you get paid until the deal goes through. Still trying to decide if and when you should sell? Download our informative ebook. It’s FREE and filled with industry advice on how to get a premium price for your business and when to time your sale. 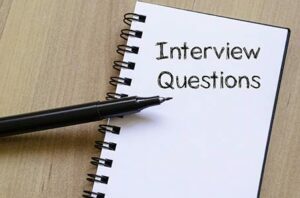 Continue reading below for the 8 questions every alarm company owner should ask when interviewing brokers. While this isn’t the sole metric upon which to base your decision, it does give you another item to use in a cross-comparison between companies. Be sure to further qualify the question when working with a firm that has multiple brokers: Get both the broker’s individual ratio as well as the firm’s overall ratio. 6. How do you evaluate what my business is worth? You should understand the core aspects of your business that the broker is focusing on when evaluating your business. This can be very beneficial when you have narrowed the field to a couple of brokers. What did each broker consider to be your strengths and your weaknesses? If there’s a weakness, and you can correct it, what additional value will that bring? A broker with significant industry knowledge can help you fully understand your valuation and how to maximize it for the best price. 7. What references and testimonials can the broker provide? Every broker you speak to will paint a glowing picture of their successes. After all, they wouldn’t be a broker if they didn’t know how to successfully pitch to a potential buyer – or client! A good way to ascertain who is walking their talk is to ask for client references and testimonials. Can you review a list of their recent sales? Can they provide you with a couple of references you can personally speak with? A good broker should be more than willing to provide you with this information. 8. And finally, do you feel comfortable with your broker? A successful transaction is unlikely to happen if you feel uncomfortable with your broker, whether that’s because of trust issues or because you feel they are talking at you instead of with you. You will want to have a broker you feel comfortable speaking with on a regular basis. You’ll need to trust that he or she is in your corner and looking out for your best interests. It can take time and effort to choose the right alarm company broker, but it will pay off in the end when you sell your business at the price you wanted. The best brokers smooth the process of getting your alarm company ready for sale. They have a solid understanding of the alarm industry and know exactly what steps you need to take in order to remove any potential hurdles and ensure maximum value for your business. Looking for an experienced broker you can trust? 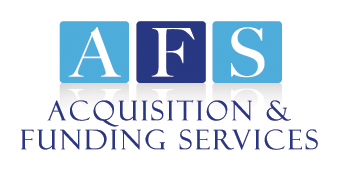 Give Rory Russell at AFS a call at (800) 354-3863. You will receive an honest, no-obligation business evaluation that is free and confidential. 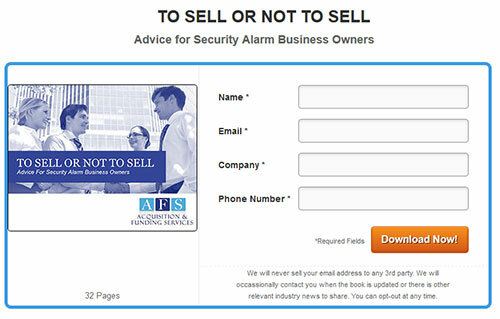 You can also receive some great insider tips on how to sell your alarm business by downloading this free ebook. Still curious about how a broker will help you? 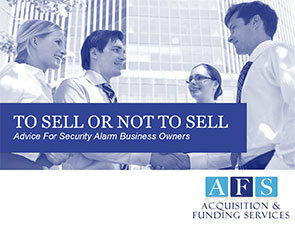 Learn more about how a broker can help you sell your alarm company successfully for top dollar. Wondering if a lawyer may be a better option for you? Find out why brokers are truly the more advantageous option when it comes to selling fire and security alarm companies.